I had the good fortune to intern at Saturday Night Live during the 2008 Obama/Biden vs. McCain/Palin election season. As a young journalism student, I very nervously asked hilarious writer and actor John Lutz if I could interview him for class and he very graciously granted me this interview an hour before dress rehearsal. 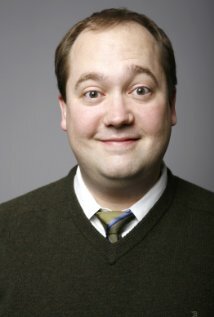 He wrote sketches for seven seasons on “Saturday Night Live” and was also a writer and cast member on “30 Rock.” He currently writes for the NBC late-night talk show Late Night with Seth Meyers. SP: What is your favorite part of writing for SNL? JL: I think my favorite part of writing for SNL is that you can write whatever you want to write. By that I mean that on Tuesday you have the freedom to write whatever you want. Your scenes live or die by what you’ve decided to write. So if it’s funny and it works, you get to do your idea, if it fails, its still your idea. So you still can be proud of it. Even though it didn’t work, you’re like, “well I thought it was funny, I tried my best, didn’t work.” They don’t do a lot of assignments where they go, “you gotta go write that thing.” It’s pretty much whatever inspires you you can write. And I think that’s why you get such a variety of different people’s voices when they write stuff, because they’re allowed write whatever they think is funny. And I think that is a freedom that I don’t think many other writing jobs have. You know, if you’re writing for a sitcom, you have to write for the characters that are in the sitcom, or the story-lines that you’re breaking. I think it’s one of the only places where on Tuesday you can not have an idea, and then at seven on Saturday, come up with something, write it up and have it maybe make it to the show. Which I’ve had happened before. Where it’s like I don’t have anything, and at seven o’clock, I’m like oh, this is funny, and just write it up and be totally loopy and goofy and then that made it to the show. So, that I think is the coolest thing. SP: Is that scary when you’re not sure? Do you just trust you’re always going to be able to come up with something? SP: How do you think SNL may have influenced the last election? JL: I guess. But I think it’s just we’re so much part of that lately. In the last few elections I feel like it’s just..we’re a part of it…but then again…when Bush…when Will Ferrel was playing Bush, Bush still got elected. Even though he was portraying him as being a kinda..a little bit of a…”Dumb Dumb”….but it was all stuff Bush was doing anyway. So it’s like people are aware of it enough…and then they see it on T.V.. So maybe? I don’t know…I’m kind of rambling now (Laughs). SP: No, no, it’s good. SP: Do you feel a sense of responsibility to make any kind of statement with what you write? Or are you purely going for the funny? Or is it a mixture of both? JL: In another way. Yeah. So I think it’s important to try and hit both sides…that way you have…that gives you as a writer, a perspective on what your doing. You’re attacking what’s happening out there rather than attacking the Democrats or the Republicans or whatever. You know? And sometimes, you know…I feel like…at least when I was writing at Second City…it’s what’s in the news, you make fun of what’s in the news. And if it’s Democrat or Republican, it doesn’t matter, you make fun of it, if it’s something that’s funny, its out there to make fun of. Does that make sense? SP: Yeah, yeah, yeah. Definitely. And then I was wondering about the Paul Rudd episode. There was a lot of criticism saying that it was kind of like a “gay minstrel show”…or..uh…what do you think about that? JL: I think it’s…I think it’s just that those were a lot of the scenes that were picked that week. (Laughs). JL: It wasn’t like our…I don’t think we were all like, ‘Whoo! Now the political stuff is done, let’s go! Let’s do the gay gross out humor! You know, i don’t think that’s what happened, I think thats just…that the scenes that got picked there were some like…you know…some people being shot in them…and then you know also gay…gay themes stuff. And I think also just because the Prop 8 thing was out there, so I think it was out there a little bit. Um..But I know that I didn’t…even in that scene with Beyonce…with the guys dressed in drag kind of…that was never meant to be…in my opinion, they were never gay. It was just those guys’ son’s wanted to be in this video so he put them in these outfits. SP: Well..you all spend so much time together. SP: In the same space. JL: Yeah. So I think that it’s just out there. There were three scenes in the read-through that had big fart sound cues. JL: And two of those things are going to be in dress rehearsal. But that doesn’t always happen. I think it’s just all of the sudden…I’ve had it where there are three scenes with unicorns in them for no reason. And no one has talked about it. But in the read-through it’s like why is there a unicorn? A unicorn is in my scene and that’s the real big joke of it? So it just weirdly happens sometimes. SP: I guess my last question would be…when you uh…did you ever think you’d make it to SNL? Did you know that you’d get this far? JL: No, I didn’t. Well, when I was a kid I always wanted to be on the show and then I started doing improv and acting in college and then I moved and did improv at Second City in Chicago. And my goal originally when I first started was to be on SNL. And then I started doing improv and sketch comedy in Chicago and then that goal kind of went away because I was like, they don’t need another thirty something white guy on the show. They’ve already got so many of those people, so I just put it out of my mind while I was touring…and I was like, I’ll never get to that show and then definitely never thought I would be a writer. I have no idea…sometimes I don’t know why I’m a writer on the show. But I…you know…It just so happened that they saw me do improv in Chicago and then asked if I had a writing package and I was writing in Second City and doing my own sketch show so I did and I turned it in and now I’m here. And sometimes I still walk through the halls and I’m amazed that I’m…it’s like crazy that I’m here. SP: It must be wild. JL: It is. It’s nuts. Because It’s SNL. JL: And I’m writing for the show. JL: Yeah. And then you walk past a picture of Chevy Chase and Bill Murray and all those guys…and you’re like what am I doing here? This is crazy. And like any job you get mad sometimes, you get tired sometimes, and then you’ll just walk past somebody wearing a giant robot outfit and you’re like oh, this is crazy I’m here, why am I in a bad mood? JL: Yeah, I know. It’s crazy. I was just dressed up as an Indian for a photo shoot about half an hour ago. I was like this is what..I get to go put makeup on and a wig, dress up, get my picture taken and then get back into this and go back up to my office (Laughs). And then you know in forty-five minutes go rehearse a scene that Tucker and I wrote for John Malkovich. It’s crazy. SP: Alright, well, thank you so much. JL: You’re welcome, I hope it was helpful at all.